For many brands, understanding how effective their marketing campaigns are is difficult. As John Wannamaker put it “Half the money I spend on advertising is wasted; the trouble is, I don’t know which half.” This is particularly true for brands who sell to SME retailers who have no reason to report sales data. To better understand the effectiveness of their marketing campaign, one of South Africa’s largest consumer brands tasked us with finding a way to track sales of their product in select areas around Johannesburg. We did so by incentivizing SME retailers to contribute their data and making it easy for them to share it with us. We then took it a step further by getting our data collectors to record store level data that would allow the client to make an informed decision on whether their in-store promotions were leading to actual sales. 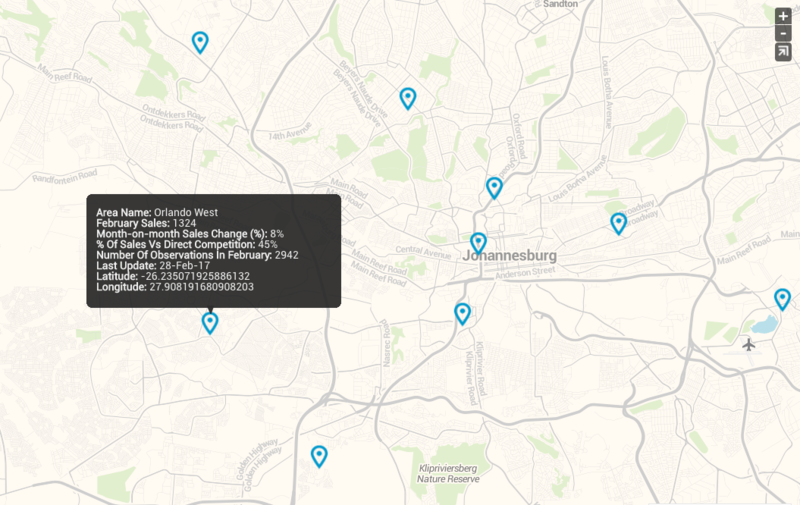 The data was made available to the client in real time and they could explore it using our interactive map. We tracked in-store sales before, during and after their marketing efforts. 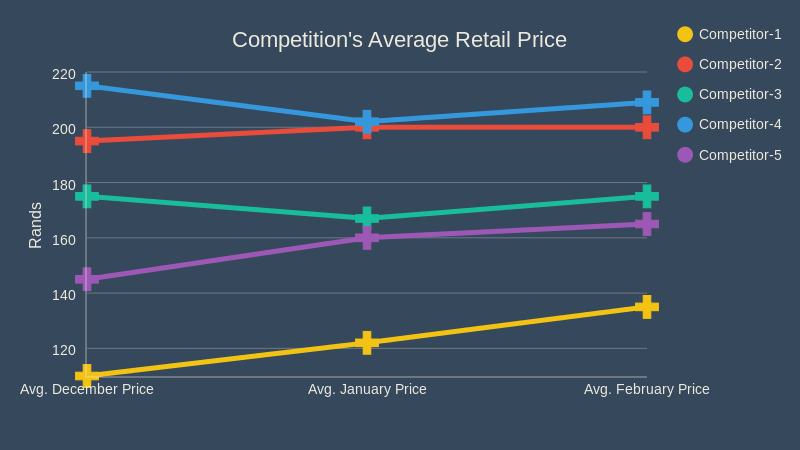 Our analysts tracked the competition’s retail prices in the relevant stores, giving our client insight into their competitor’s behaviour over the period. This also provided another data point to help us separate the signal from the noise. 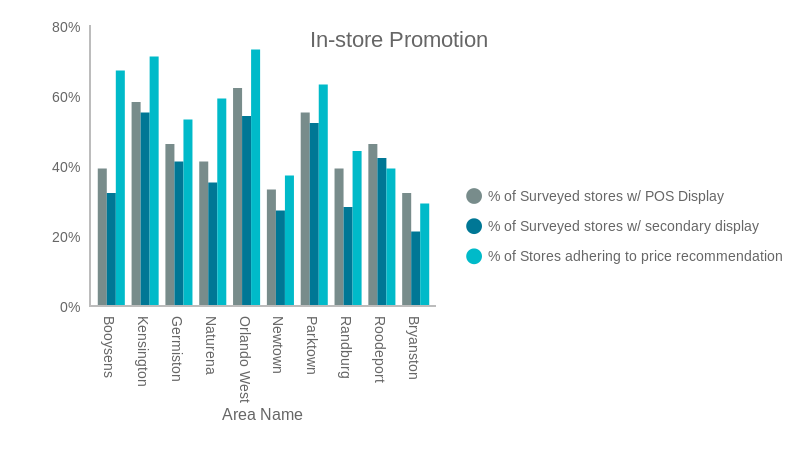 Our data collectors performed in-store visits - auditing stores that had agreed to participate in the client’s marketing efforts through in-store promotions. This allowed us to track sales in stores that adhered to the sales campaign and those that did not. Tracking the sales and retail price data has given the client a better understanding of the elasticity of demand for their product at a micro-level. Our client now selects which stores to enlist for a marketing campaign based on a set of store characteristics that we identified during our research, improving their marketing ROI. By performing A/B tests on the in-store promotional materials during our engagement, the client now understands which promotion approaches work best in areas with certain characteristics. The lessons learned here are now being transplanted into the national operation.